Eugene Barnosky is a graduate of Regis High School, Colgate University (A.B. 1975 in Philosophy and Religion) and St. John’s University School of Law. 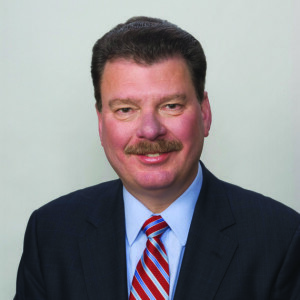 He began his career at the Nassau County law firm now known as Farrell Fritz and joined our firm in 1982. With a varied background in many areas of the law, including real estate development, Mr. Barnosky now focuses his practice upon municipal, education and labor matters. He has served as the Village Attorney of two Suffolk County villages and works extensively for our school district clients. He is a frequent lecturer for the Suffolk and Nassau County Academies of Law and the Municipal Law Section of the New York State Bar Association. Mr. Barnosky is past President of the New York State Association of School Attorneys and past Chair of the Education Law and Municipal Law Committees of the Suffolk County Bar Association. He has served on the Board of Directors of the Family Service League of Suffolk County, the Advisory Board of First American Title Insurance Company of New York, and as a Fellow of the American Bar Foundation and the New York Bar Foundation. He has served as President of the Colgate Club of Long Island and as Vice Chair of the South Huntington Educational Foundation. His articles on education law have been published in the New York Law Journal and Newsday. Mr. Barnosky was selected to appear in the New York Super Lawyers® Metro Edition in the areas of Schools and Education in 2016, 2017 and 2018 and has frequently appeared as a commentator on News 12 Long Island.